Today marks the start of Infrastructure Week, which takes on a new significance this year as Congress and the Trump administration have begun discussing a national infrastructure proposal. More often than not, these proposals tend to revolve around roads and bridges — the most visible parts of our infrastructure. They rarely include water and wastewater, and certainly don’t include stormwater, which are rapidly increasing cost burdens on local governments. These essential services are too often taken for granted by policymakers and the public. Our nation’s water and wastewater systems are in a crisis born from their own success. Most of us can turn on the taps in their homes and receive clean water to drink, bathe in, or water our lawns. We rarely consider the complicated network of pipes and advanced treatment technologies that carry sewage from our homes and clean the effluent. Across the country, these systems are aging and in need of significant repairs after years of deferred maintenance. We cannot afford to wait for crises like Flint to bring water infrastructure into the conversation. Utility managers and local officials are struggling to identify sufficient revenues to pay for what could be more than $1 trillion in repairs. Inadequate water systems, deferred maintenance, or mismanagement, as was evident in Flint, can quickly turn into a dangerous threat to public health. In 2011, 2,252 small systems had serious drinking water violations and only 22 percent of those systems had achieved compliance three years later. While the crisis in Flint exemplifies the dangers of lead contamination, water systems face myriad concerns: dozens of drinking water contaminants, system failures in the treatment of wastewater, and contaminated stormwater overflows each present unique environmental and health risks. The American Society of Civil Engineers estimates that aging pipes and inadequate capacity result in the discharge of 900 billion gallons of untreated sewage into U.S. waterways each year. The Environmental Protection Agency estimates that between 1.8 and 3.5 million people per year become ill from recreational contact, such as swimming, with water contaminated by sanitary sewer overflows. 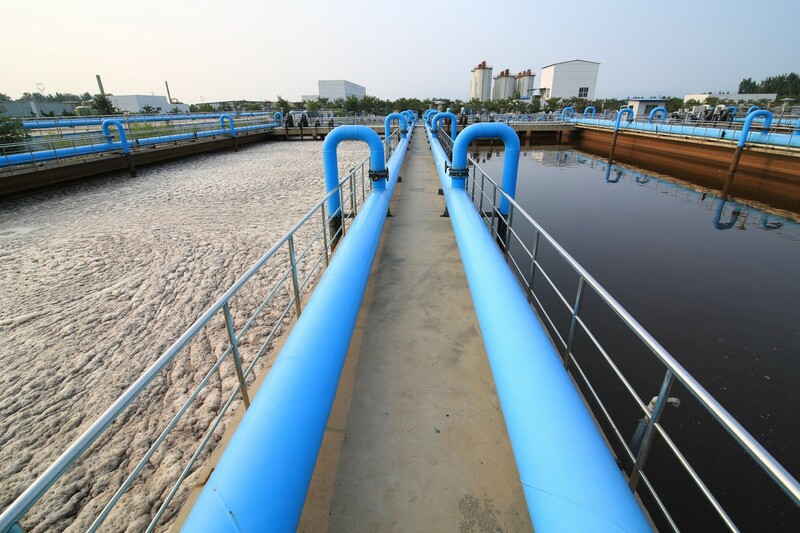 Currently one of the primary mechanisms by which the federal government assists local water and wastewater utilities is through two state revolving loan funds, one each for drinking water and wastewater. While President Donald Trump’s first budget proposal protected these accounts, they alone are insufficient to meet the growing demands of these systems. The Bipartisan Policy Center’s Executive Council on Infrastructure recently created a task force to explore the challenges facing our nation’s water and wastewater systems, including expensive federal and state mandates, insufficient rates, declining rate-bases and — in some areas — new population growth. Although America’s collective attention has moved on from Flint, its citizens continue to rely on bottled water for both drinking and bathing. With that in mind, the task force’s central goal is to refocus the nation — and particularly our federal decision-makers — on water. It is important that we not just rebuild systems exactly as they are today. Without a focus on innovation and modernization, future generations will face their own daunting infrastructure funding gaps. There are numerous issues to be considered, including the role of the federal government, how communities can set rates that include the full cost of service while not pricing out the economically disadvantaged, and how states can implement federal laws while still encouraging systems to innovate. Additionally, BPC’s Council found that public private partnerships are under-utilized in the water space. However, they can take numerous forms and can benefit rate-payers over the long run by promoting better management of systems. What are the obstacles to their adoption? What is the role of the private sector in meeting our growing water and wastewater infrastructure gap? Our task force believes other critical questions to be addressed: Does all water used for commercial purposes need to be treated to drinking water standards when so little of it is used for consumption or bathing? Finally, how can decision-makers help those served by systems that have failed to properly maintain their assets without incentivizing further neglect? Importantly, we ask members of Congress to visit their local utilities the next time they are home in their districts, ask questions about how rates are set, how old the pipes are, how many citizens receive assistance paying rates, and how they complying with water standards. We then ask that they come back to Washington ready to join us in a national effort to modernize these vital services and promote critical public health and environmental objectives. Federal decision-makers are rightly focused on modernizing our infrastructure. Both sides of the aisle in Congress recognize that infrastructure investment will ensure that the United States continues to lead the world in economic growth and innovation. Yet such an effort must include the water and wastewater sectors. They are a critical part of future economic development efforts and — more importantly — the cornerstone to clean, drinkable, fishable, and swimmable waters. This Infrastructure Week, let’s make sure water and wastewater are a key part of the conversation. Steve Bartlett is a former mayor of Dallas. Henry Cisneros is a former mayor of San Antonio, Texas, and former secretary of Housing and Urban Development. George Heartwell is a former mayor of Grand Rapids, Michigan. We’re working to find actionable solutions to the nation’s key challenges. Think tank combining the best ideas from both parties to promote health, security, and opportunity for all Americans.